Has anyone stopped to think for a minute that “retro themed” cameras are actually not so retro at all? Outside of an obvious strength as a marketing tool. When you think of camera design there are a few obvious concessions that need to be made. You need to be able to see the image you are taking in order to properly frame it and, if you are even a modest hobbyist you are going to want some creative control over the exposure of the image. This means control over aperture, shutter speed, ISO and focus. For years manufacturers have buried these controls deeper and deeper into on screen menus in an effort to simplify the use of the camera. Yet, as any creative photographer knows, these few simple controls are the bare minimum for any photographer to capture photographs in a controlled or unique way. If you at least have these basics at hand, the rest will fall into place and this is exactly what we are starting to see in many popular new cameras. A renaissance of easily accessible manual controls which also just happens to be the antithesis of the casual point and shoot nature of mobile phone cameras that have all but dominated the general public’s mind when it comes to photography in general. It’s only natural for manufacturers to look back to the roots of the craft as a means to pull in photographers who crave more than what their mobile phone can offer them in regards to in camera creative control. That said, when you imagine a camera in your mind with full exposure control you imagine a box with knobs that allows you to adjust these key values quickly. 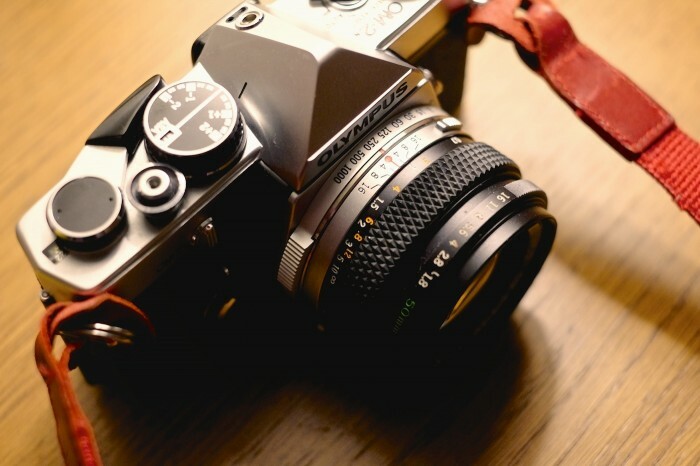 In this regard, these supposed retro themed cameras are not retro, they are obvious. No touch screen or series of buttons will give you the same quick uncompromising access to control that simple task specific knobs do. The first camera I remember offering what could be considered a “retro” body with a digital sensor was Epson’s R-D1 which was, from what I remember at least, not created as a marketing gimmick, but as an honest rangefinder with a digital sensor. To this day I would still love to see Cosina step back into the market and release a Voigtlander branded digital rangefinder with lens/viewfinder focus coupling that could simply use M-Mount lenses. Once the RD-1 failed to pick up any traction in the market due to the stampede of DSLR bodies at the time we didn’t see anyone else pick up where they left off until Olympus showed up with their updated Pen series. The pen cameras are a hybrid of sorts, borrowing the form factor, size, and interchangeable lenses of older Olympus Pen bodies but moving previous manual control to menus and multi purpose knobs. It wasn’t until Fuji’s X series and to some extent, the Olympus Om-D that we started to see manufacturers realize the potential for more manual control on camera bodies again rather than less. Manufacturers are banking on the essence of what made older cameras (many of the memorable ones at least) intuitive and usable for photographers to begin with. Hoping to catch the eye of those who are pursuing the art deeper than what the point, click, enhance emotion later habits of mobile phone photography by offering simple offerings with a more broad range of possibility. Just look at Nikons marketing strategy with the new Df. Their leading subtext pulls you into the advantages of using classic camera body design and how you can “Rediscover the joy of photography” with the simple manual control the body offers. Sure, may be marketing rhetoric but they certainly have a point. A cynical mind may jump to the conclusion that it’s all a gimmick but the evolution of the modern camera will continue to putter along either way. I can only hope that simplicity will win in the end, both for the brilliant little point and shoots in our phones and for feature forward prosumer bodies and this hope is why I decided to stand up in support of this trend. Speaking of which, have you seen the leaked photos of the upcoming new Fuji X body? Gorgeous. It’s why I decided to move to the Fuji X system, I feel as though they are the most connected to the essence of what makes photography great, not only by keeping up with the latest technology but offering bodies that focus on the essentials. Should be interesting to see how things continue to develop as the market navigates the smartphone camera onslaught. Regarding the new Fujifilm X-T1, I have just seen the release and it really is stunning. It makes me wonder how digital menus were perceived as more simple than these few dials a photographer needs quick access to. Anyway, fantastic article as always John. It was a pleasure to read and captures the state of the industry perfectly. I totally agree and what a great way to put it. New cameras built with easy manual controls in mind arent retro; its just a design that works and is easy to use! I’ve been saying ‘why don’t they (Cosina) make a new FF M-mount RD(2? )’ ever since I first learned of the RD1. They would clean house, me thinks.